UAE-based Meraas Holding has announced the launch of Hub Zero, the region's first immersive (generating a three-dimensional image which appears to surround the user) entertainment park which will come up on City Walk, a premier urban lifestyle destination spread over a 10-million-sq-ft area in Dubai. A state-of-the-art indoor entertainment destination, Hub Zero will comprise a total of 18 thrilling attractions, rides and experiential zones, with a substantial number exclusively developed for the facility. Scheduled to open this summer, Hub Zero will offer innovative experiences created in association with world-famous video game developers including Electronic Arts, Capcom, Konami, Microsoft and Square Enix, said a statement from Meraas. Nestled between two of Dubai’s most prestigious neighbourhoods on Al Safa Street, in close proximity to Sheikh Zayed Road and the highly-frequented Jumeirah Beach Road, City Walk is situated in a prime location offering an unobstructed view of Dubai’s world famous and mesmerising skyline. Through a conveniently connected street system with direct links to Dubai’s highway network, the masterplan establishes corridors to the city’s well-known landmarks, said the statement. 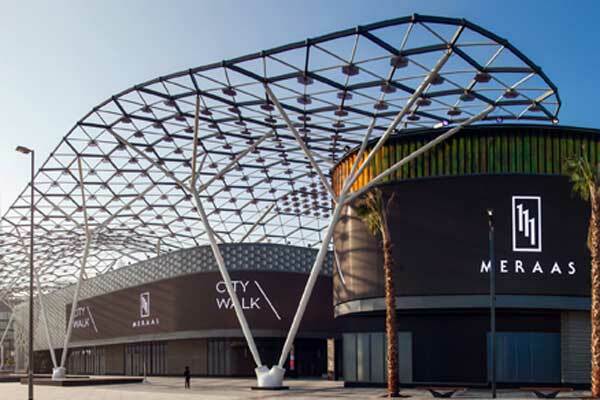 According to Meraas, City Walk will soon welcome over 60 new tenants this year including leading global brands as well as innovative home-grown enterprises. Over 50 per cent of the new tenants expected to launch in 2016 opened doors to visitors last month, welcoming families looking for a relaxed shopping experience. A key highlight of the new portfolio is the destination’s focus on presenting visitors with the best of local and global fashion brands such as Karl Lagerfeld, Diane Von Furstenberg, Maje, Serendipity3, Armani Exchange, M Missoni, Tory Burch and Coach. The urban lifestyle destination will also witness the launch of an interesting local and international mélange of dining options, including restaurants with a Michelin-star lineage alongside idyllic social spaces and cafes, said the statement from Meraas. Complementing the new retail and dining offerings, City Walk is set to open doors to an array of leisure and entertainment choices, it stated. This includes The Green Planet, the region’s first bio-dome recreating the enchanting world of a tropical forest with its rich biodiversity of over 3,000 plants and animals, and Mattel Play! Town, a magical, safe and interactive indoor ‘eduplay’ attraction themed around five popular children’s characters from Mattel, and Geek Nation, one of the leading destinations for comic, movie and video game lovers in the region. Meraas pointed out that with the new additions, City Walk is set to comprise refined residential, entertainment, hospitality and wellness options in one integrated space, to complement the destination’s lifestyle personality.